So, the scary fact is that in twelve months time, I and many other OT-to-be's will be job hunting as newly qualified occupational therapists (that is, if I am successful in passing the final year... GULP). It seems that everybody is pretty terrified about the prospects of entering the job market, especially as each time you turn on the television or read the newspaper, you can't escape the public sector cuts and the challenges that the private sector is facing in terms of growth and development. To put it bluntly, it's a pretty scary time for us OTs along with the rest of the UK. 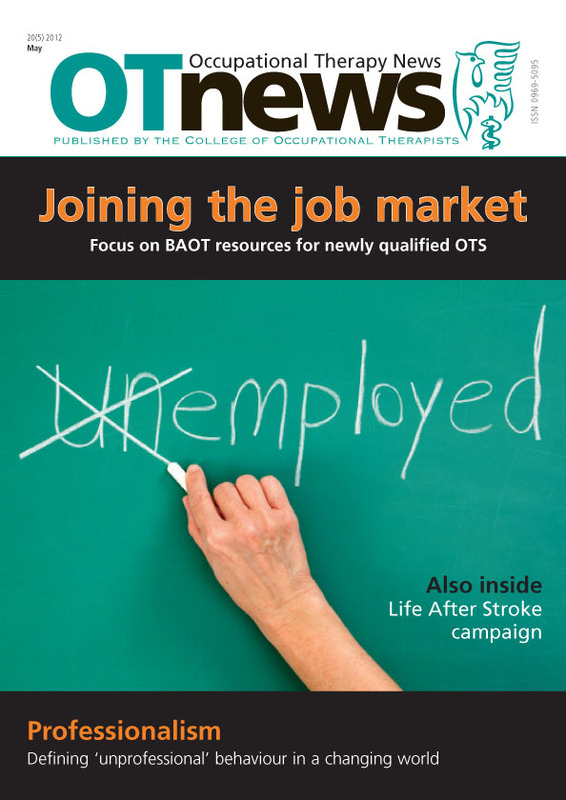 To try and make sense of those fears, last month's May edition of OTnews has provided some very useful articles which are helpful for newly qualified OTs in approaching the current job market. In particular, the article 'Emerging Markets' by Andrew Mickel highlights that there is a shift away from the traditional NHS rotational posts and towards opportunities in both charity and the private sector. It also identifies that generic roles are increasing due to budget pressures and that some new graduates are taking on work as a lower band OT in order to gain some experience, while still looking for a Band 5 job. In the article, Fiona Fraser, who is the College of Occcupational Therapists' education manager for student services, identifies that leadership and entreprenurial skills are becoming ever more essential in OT practice, particularly with the changing working environmental. Despite the changes in the job market, the article confirms that the vast majority of graduates find jobs in statuatory health and social care services, although changes of UK policy suggests that emerging settings may be the place to keep your eyes peeled for jobs. The main message in this month's OTnews is to use the skills we've learnt training to be an OT, but also to be prepared to use these skills in different ways. So, it's time to take the plasic cover off OTnews and see how it can help you! Come on guys... twelve months will soon fly by! The next blog post won't take as long to come up; no more assignments to write or presentations to do...Yay! Cannabis- Are you aware of the risks?